MusicHub is a script that you can run a fully automated song charts, music search engine and a fully automated music affiliate website within several minutes.This script will let your visitors to browse music and download them in several formats including Mp3. Discovering best musics & download them has never been easier . But this script will prove your wrong. Because it has all the options you could have. Script has used Youtube & iTunes api to offer new releases including all top songs, & albums in the world.your website visitors can search, listen, and download the latest songs and watch music videos, explore the top songs charts and much more to keep your visitors entertained. The users can browse the MusicStore in five categories; just added, new releases, top songs, top albums and top videos, not only that user can also filter the results according to genre or simply enter song on search bar to find it. If you can’t find it here , you won’t find it anywhere. All the pages are SEO optimized, Perfect search engines like Google will crawl & index your website due to script contains OpenGraph meta tags & due to user friendly url structure.Not only that Through our power full admin panel you will be able to have unique page titles to improve your website rankings and results. Script has provided a great way for you to earn commission on revenue generated by clicks initiated from your website through driving traffic for iTunes affiliates & Amazon affiliates . 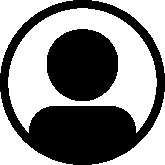 No coding skills required just input your Amazon affiliates ID and iTunes affiliates ID from the admin panel. If your not an iTunes or Amazon affiliate still you will be able to earn money through having ads on the ad spots. It is upto you to select the ad company you want to work with, Your website is fully optimized for ads. You will earn from every view and click. 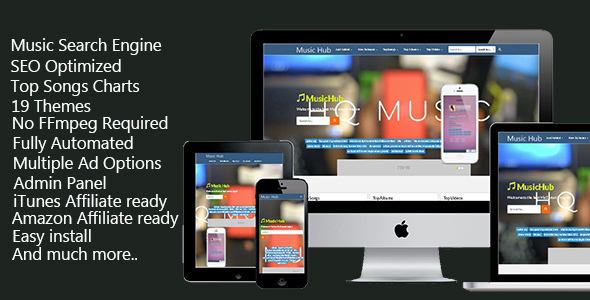 Musichub script comes with 19 beautiful and responsive themes provided courtesy of Bootswatch. You can easily switch themes in the admin panel. Music pages and video pages will be containing detailed information about the songs & albums.iTunes and Amazon affiliate links. If available it will also show sections for the iTunes users reviews and other albums and music videos from the same artist. There is an optional Disqus comments section and also AddThis social sharing buttons and advertisement spots are in place. Script provides user to download any song, video from following formats.